1929 The Emporium draper's shop was demolished and work began on a new theatre, designed by Edward Stone and built by Griggs and Son, with an art deco auditorium by Marc Henri and Laverdet decorated in warm shades of fuchsia and gold. 1930 The Prince Edward Theatre opened on 3 April with Rio Rita, a musical comedy by Harry Tierney. 1933 Four-week season by Josephine Baker, billed as 'The Idol of Europe'. 1935 Acquired by a syndicate who also owned the French Casino in New York and the Casino in Miami. Reopened on 2 April 1936 as the London Casino, a cabaret restaurant. The first stage show was Folies Parisiennes followed by Bal Tabarin, La Revue d'Elegance and Folies de Minuit. Initially it took more money than any other place of entertainment in London, but eventually the lavish scale on which they operated led to serious financial problems. 1942 Converted to the Queensberry All Services Club for the rest of the war. From here Variety Band Box was broadcast to British Forces stationed overseas every Sunday afternoon. Among the names who appeared were Vera Lynn, Vic Oliver, Tommy Trinder, Stephane Grappelli, Jack Hilton, Tommy Handley, Mantovani, Glenn Miller, George Formby, Flanagan and Allan, Richard Murdoch and Joe Loss. 1946 Restored to theatrical use under the management of Tom Arnold and Emile Littler with Pick-Up Girl, produced by Peter Cotes. 1947 Mother Goose, the first in a series of pantomimes that became an annual feature at the theatre, was put on with Stanley Holloway as Squire Skinflint. Subsequent Christmas seasons included Cinderella with Arthur Askey as Buttons, Aladdin with Julie Andrews and Jack and Jill with Michael Bentine and Charlie Chester. 1947 First in a series of International Variety shows presented by Bernard Delfont that brought Chico Marx, Max Wall, Max Miller, The Inkspots (famous for the song 'Whispering Grass'), and Mistinguett ('The Idol of France') to the London Casino. 1949 Latin Quarter, Robert Nesbitt's 'luxury musical', was presented each year until 1952. One band greeted the audience in the foyer, another on stage and a third in the orchestra pit. Posies of fresh violets were placed on the seats and balloons were suspended from the ceiling. 1953 Over the Moon, revue by Vivian Ellis starring Cicely Courtneidge. 1953 Wish You Were Here, a musical comedy with music and lyrics by Harold Rome, was set in a holiday camp and had a filled swimming pool on stage. 1954 Converted for large screen Cinerama and remained in use as a cinema until 1974 during which period it showed films such as How the West Was Won, The Bridge on the River Kwai, Seven Brides for Seven Brothers and King Kong. 1978 The theatre reopened on 21 June, under its original name of the Prince Edward, with Andrew Lloyd Webber and Tim Rice's ground-breaking musical Evita starring Elaine Paige, Joss Ackland and David Essex which ran until 1986. 1992 The theatre was completely refurbished under the management of Delfont Mackintosh Theatres Limited. The stage was enlarged, the auditorium remodelled and redecorated and new side boxes added. 1993 Reopened on 3 March with the Gershwins's Crazy for You which ran for three years. 1999 MAMMA MIA!, the feel-good show with its entertaining story based on the songs of Abba, was a smash hit, taking record box office advances. 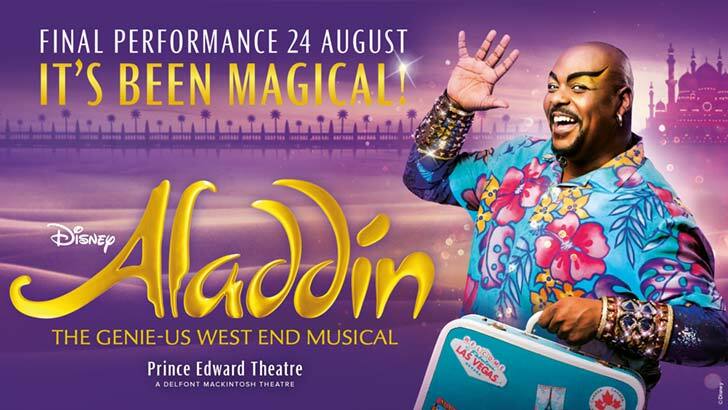 It ran at the Prince Edward for five years before moving to the Prince of Wales, where it ran for a further 13 years and in September 2012 transferred to the Novello. 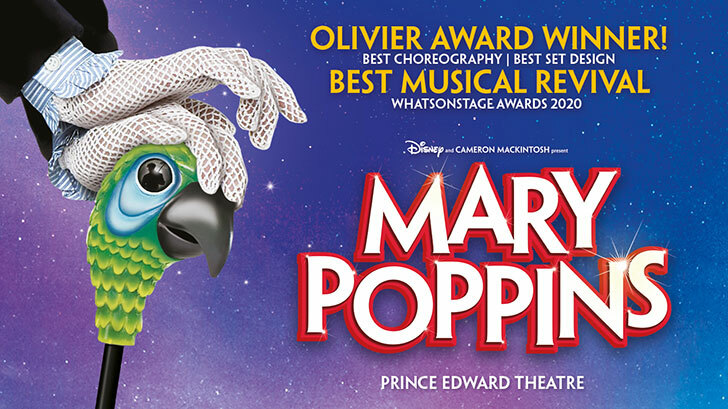 2004 The first stage version of P L Travers's ever-popular stories about the magical nanny, Mary Poppins opened in December. Presented by Disney and Cameron Mackintosh, it entranced both adults and children alike and ran for over 1,000 performances. 2008 Following its huge success on Broadway Jersey Boys The Story of Frankie Valli and the Four Seasons opened on 18 March and amongst many other awards won the 2009 Olivier Award for Best New Musical.